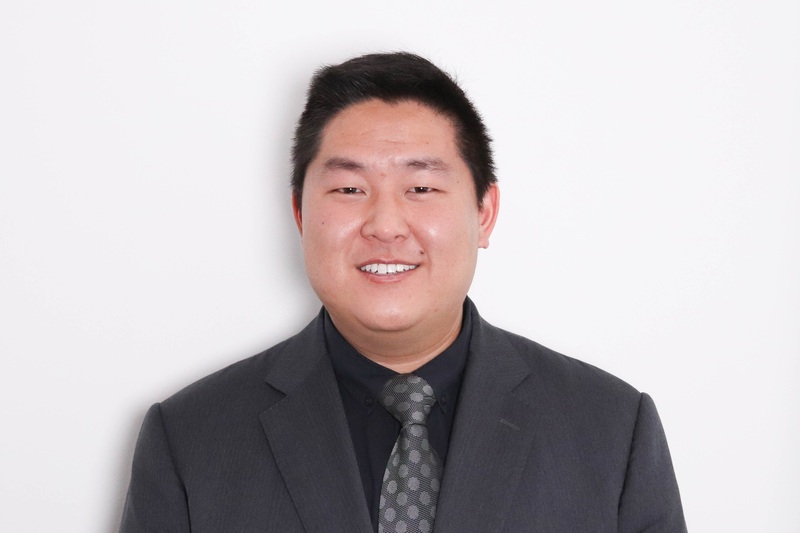 The JACL-DC Chapter is happy to continue our blog series, Meet Our Board. As a way to introduce you to our new 2019 board members, this series will feature posts from members throughout the year. Be sure to keep checking back for future posts from these individuals who are here to serve the DC Chapter. Hello, DC Chapter! Thank you for checking in on the website! My name is Gabi Ogata, and I am honored to be the new youth co-chair this year. Like my good friend Christie, I am Brazilian-Japanese-American, and while I haven’t been a member for as long as her, I have been volunteering for JACL for the past two years. I was born in D.C., but being raised in Brazil by a Japanese family didn’t make moving here comfortable. I didn’t consider myself American and felt closer to my Japanese heritage than anything else. After a couple of years at Keisho and meeting Christie, I was introduced to JACL and the DC Chapter’s annual cultural events. At first, I felt disconnected and out of place—I could only relate to the Japanese side of the community. I had learned of, but not experienced or had family members who had experienced, the past difficulties Japanese Americans in the U.S. faced, and I thought I couldn’t truly be a part of this group. However, over the years, I have come to terms with my background and my identity, and this group has been a big part of that. JACL and members of the DC Chapter have accepted me with open arms and have wordlessly taught me about unity, open mindedness, respect, community, and, as cliche as it sounds, love. I can only hope to be able to give back to the community that has helped me so much and made me feel so accepted. I’m very excited to be working with the DC Chapter, and I will do my best to move it forward and help it improve! 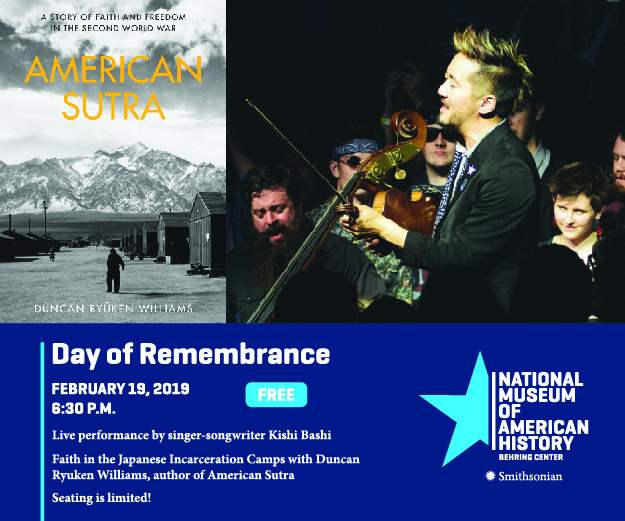 In observance of the Day of Remembrance, which marks President Franklin D. Roosevelt’s 1942 signing of Executive Order 9066 and subsequent incarceration of nearly 120,000 Japanese Americans, the museum will host a free live performance by the award-winning composer Kishi Bashi and a guest lecture by renowned scholar Duncan Ryuken Williams. Following the screening and lecture, a panel discussion and Q&A with Kishi Bashi and Duncan Ryuken Williams, joined by Museum experts Noriko Sanefuji, Museum Specialist, and Peter Manseau, Lilly Endowment Curator of American Religious History, will explore memory, faith and music in Japanese American incarceration camps. 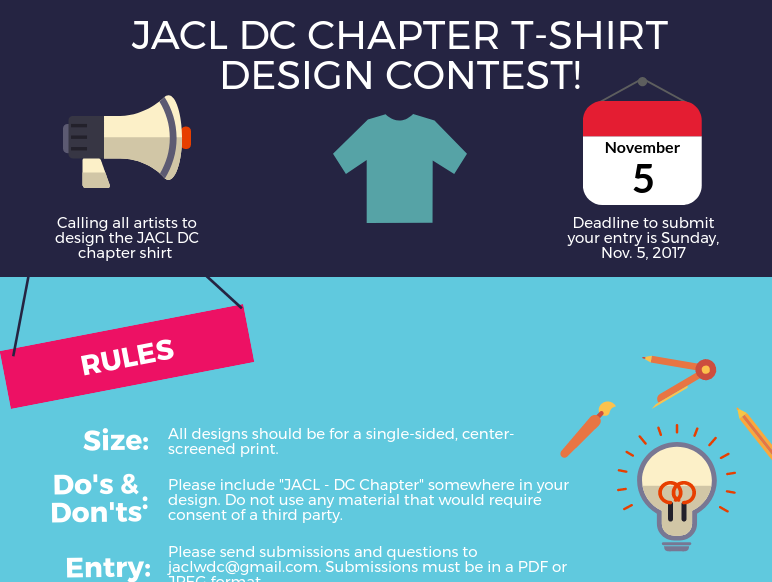 The JACL-DC chapter is happy to continue our blog series, Meet Our Board. As a way to introduce you to our 2018 board members, this series will feature posts from members throughout the year. Be sure to keep checking back for future posts from these individuals who are here to serve the DC chapter. I moved to DC from Los Angeles, just two weeks after finishing grad school at the University of Southern California (USC) for a six month position at AARP. At USC I studied social work and focused on mental health and gerontology. My close relationship with my grandparents grew my passion and desire to serve our older adult population and they are a big motivation for me to do this work. My passion and my grad school studies aligned well with AARP. AARP seeks to empower people to live how they live as they age. This mission aligns well with what I am called to do as a professional social worker. Prior to attending grad school I worked for a small accounting business in Torrance, CA, where I grew up. I worked for a relative and learned valuable skills that I still utilize even with my work at AARP. 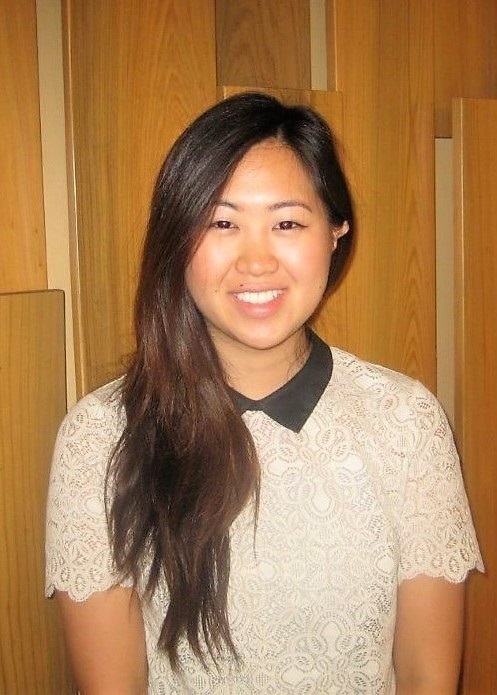 As a Yonsei, a fourth generation Japanese American, the accounting career path made sense. However, after almost five years of working in accounting, I finally made the decision to pursue geriatric social work. Fast forward two years, I am now at AARP and very much feel like I am where I am supposed to be. Shortly after starting at AARP, my colleague, Ron Mori connected me with the JACL-DC chapter. I was not involved in JACL back home, but Ron invited me out to JACL events and encouraged me to get involved. My very first volunteer experience was the JACL National Convention! I knew that there was no looking back after that! I have gotten a lot more involved with JACL since moving out to DC, and am excited to join the JACL-DC chapter board this year. I look forward to getting to know other chapter members living in the DC Metro area. I also hope to utilize my background in social work and gerontology to do some programming around caregiving and aging in 2018 for our chapter. I now reside in Silver Spring, Maryland and am hoping to transition to a more long-term position at AARP. Plus now that I am on the board, I can’t leave just yet! Hello DC Chapter! 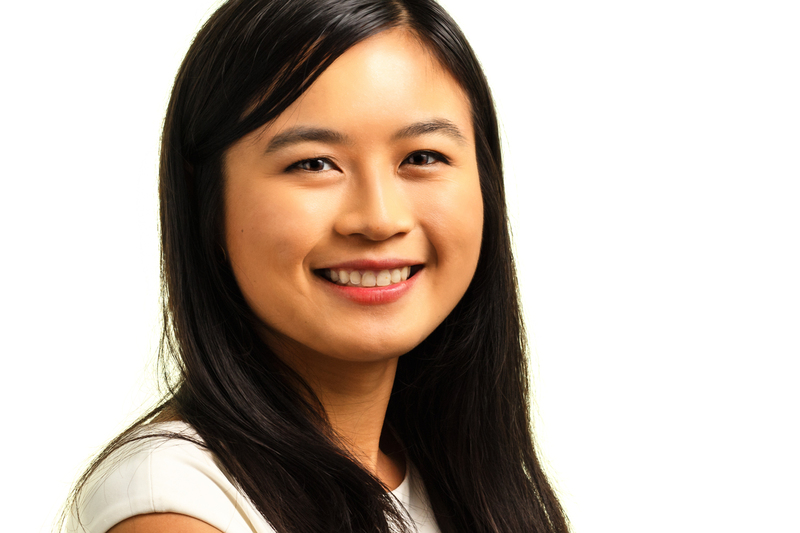 I’m Alice Lin and I serve as Secretary of the JACL-DC chapter board. Growing up in San Jose, I learned about some Japanese and Japanese American culture, but I only truly learned of JACL when I first came to DC to as a college intern. When I had the opportunity to help organize the legislative advocacy day on immigration reform for the 2013 Convention, I was moved by both the stories and the level of engagement of the JACL members I spoke with. I was later fortunate to become a Mike M. Masaoka Fellow working for my Congressman Mike Honda. As a Fellow working on Asian American and Pacific Islander (AAPI) issues for Rep. Honda, I learned much more about the JA experience and JA issues. As a second-generation Taiwanese American, I believe AAPI communities have a great deal to learn from the JA community’s long and continuing dedication to civil rights. I am grateful for the warm welcome I have received from many in this chapter and am excited to contribute to this vibrant community. 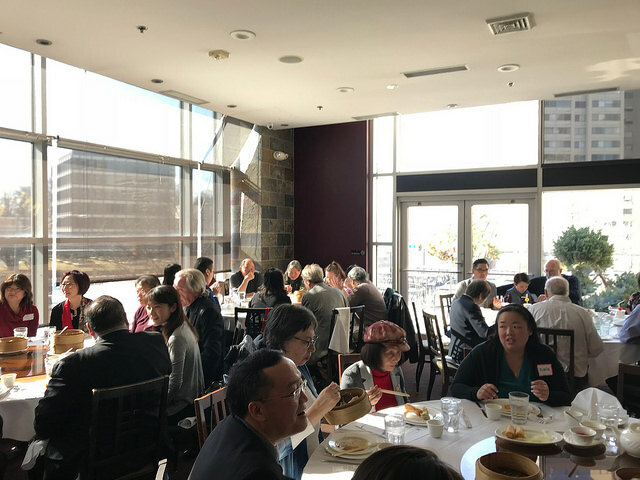 To kick off 2018, the JACL DC Chapter is hosting its annual Installation Luncheon Saturday, Jan. 27 from noon to 2pm at Meiwah Restaurant in Chevy Chase. Join us to hear from keynote speaker JACL National Executive Director David Inoue as he shares his vision, priorities, and agenda for JACL, as well as catch up with your DC Chapter family! 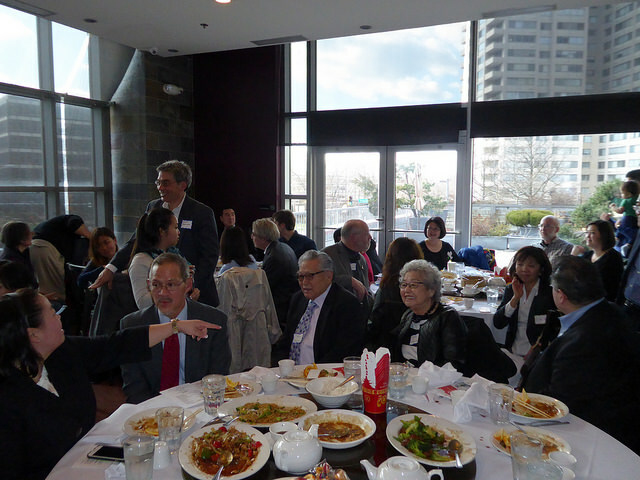 The JACL-DC chapter is happy to present the sixth post in our blog series, Meet Our Board. As a way to introduce you to our 2017 board members, this series will feature posts from members throughout the year. Past posts include one by our youngest board member, Christie Mori and at-large member, Craig Shimizu. Be sure to keep checking back for future posts from these individuals who are here to serve the DC chapter. I’m the youngest child of parents who were 12 when their families experienced the forced removal to Rohwer and Poston incarceration camps. My childhood in Chicago was a direct result of my father’s family having nothing to go back to in Los Angeles and no choice but to start a new life in Chicago from Rohwer, Arkansas. A new life in a tough city, but a city with a big heart and growing Japanese American community post WWII. Up until six years ago, my only home was Chicago. I was born and raised in Chicago’s Northside. I can still remember the JACL Chicago basketball clinics and the many volunteer coaches that gave endless hours to keep all of us so busy with basketball drills on cold winter weekends at a local school gym. I was a happy camper to wear a yellow gym shirt with blue JACL lettering, but I really didn’t know what JACL meant at the time. I must have been 7 or 8, with zero basketball talent. It wasn’t until I found myself in corporate communications and public affairs, including holding various corporate foundation positions, that I finally understood the importance of the work of JACL. Its mission to secure and safeguard the civil rights of all communities affected by injustice and bigotry is what drives me and is what I continue to work toward both in my professional and personal life. I currently work for AARP, where my role is to increase AARP’s social impact work and membership outreach within the Asian American and Pacific Islander (AAPI) communities and American Indian/Alaska Native communities. I also enjoy writing a column for the Pacific Citizen called “Reimage Everything…” While most topics are related to AARP tools and resources, I comment about my new phase in life at 56 and being a remote distance caregiver and father to two daughters. When I first moved to D.C., I met John Tobe in my first month and he introduced me to the JACL DC Chapter and the greater JA community in the metro area. As they say, the rest is history. My family (Teresa, Samantha, Caroline, and our beloved dog Harley) has had a great opportunity to meet so many of you at various chapter event and I hope to talk with you all again at future events. 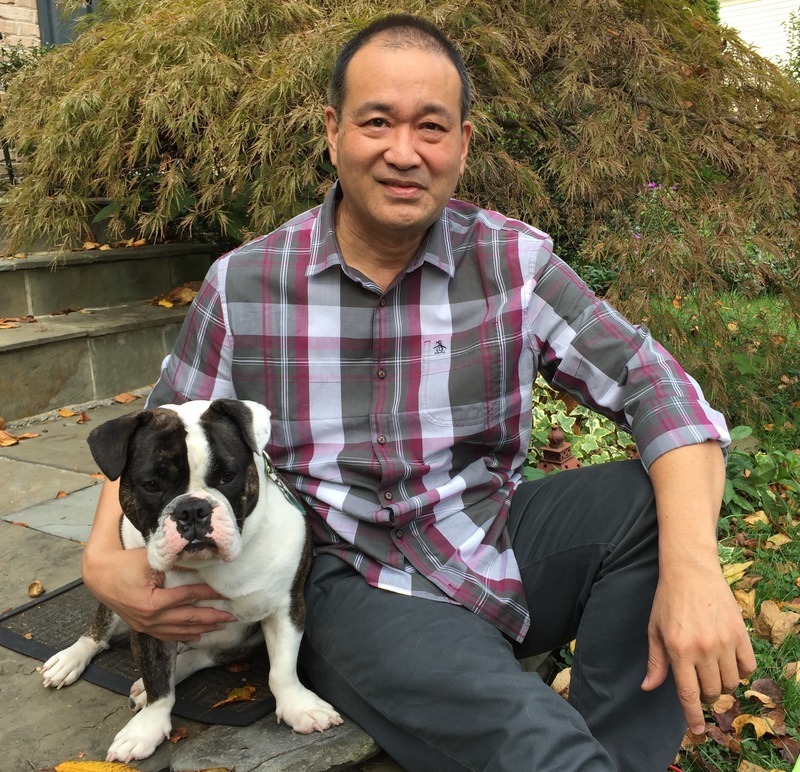 The JACL-DC chapter is happy to present the fifth post in our blog series, Meet Our Board. As a way to introduce you to our 2017 board members, this series will feature posts from members throughout the year. Past posts include one by our youngest board member, Christie Mori and at-large member, Craig Shimizu. Be sure to keep checking back for future posts from these individuals who are here to serve the DC chapter. Hell o DC Chapter! 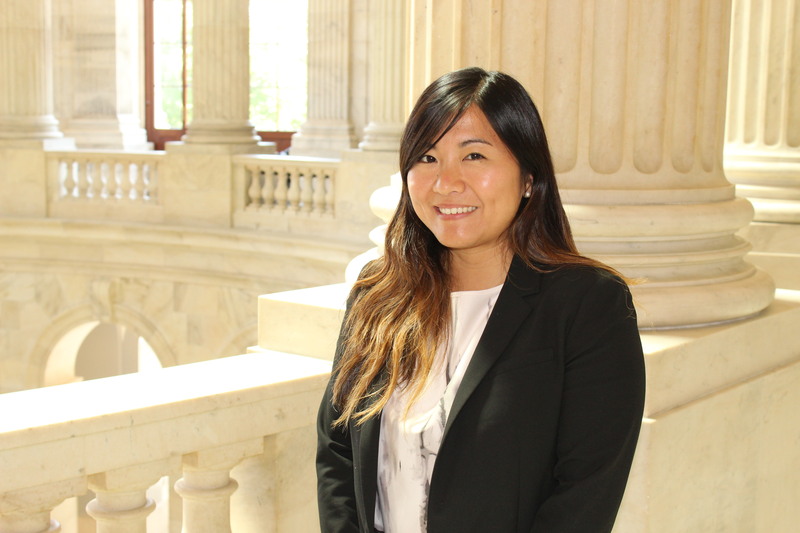 I’m Nikki Yamashiro, this year’s co-Vice President of JACL DC chapter board. As a Southern California transplant to DC (Monterey Park specifically, for those of you familiar with the LA area), I feel lucky to have found my way to the DC chapter. Growing up, I didn’t realize how fortunate I was to be able to take part in all of the cultural events and activities that LA had to offer. From going to Obon in the summer to taking Japanese dance and playing JA league basketball, connecting to the JA community was a part of my life that I never had to seek out and find, it was just around me. Moving to the DC area was quite a culture shock for me. While I love that the city has events like Jazz in the Garden and Screen on the Green, I missed events like the Tanabata festival or being able to go to Little Tokyo and pick up manju. I remember the first New Year’s in DC I tried to make ozoni. After going to three different specialty stores in search of fresh mochi, I came home with freeze dried rectangular mochi (which, to be honest wasn’t half bad). Joining the DC chapter has helped connect me to the JA community in the area and it’s been like finding family. The annual Mochitsuki reminds me of my family gatherings—loud and a little chaotic, but filled with lots of laughs, good food, and old friends catching up. I love the sense of community that this chapter fosters and am so happy to be a part of it. I also know from firsthand experience it is one of the only places you will be able to buy fresh mochi in the DC area! One of my big projects for this year has been increasing our digital media communications with the chapter. In my role, I’ve created our new Facebook page, as well as new Twitter and Instagram accounts. I’m also working to have more content to share on our website through blogs. I hope that our presence on these platforms will help us better connect with the chapter, as well as connect the chapter to other cultural and civil rights organizations both in the DMV area and beyond. Lastly, I’d love to hear from you! You can email me at: nsyamashiro@gmail.com. Please don’t hesitate to reach out to me if you have ideas for a blog post or want to give feedback on our social media. These platforms are ways to improve our communications, and if there’s something that we can do better, we want to know! Looking forward to connecting with you all on social media or at a future chapter event! Meet Mai Ichihara – DC Chapter’s Student Scholar! As students head back to school this September, we wanted to feature a blog post by Mai Ichihara, JACL-DC chapter’s student scholar who was named 2017 National JACL recipient of the Kenji Kajiwara Memorial Scholarship. 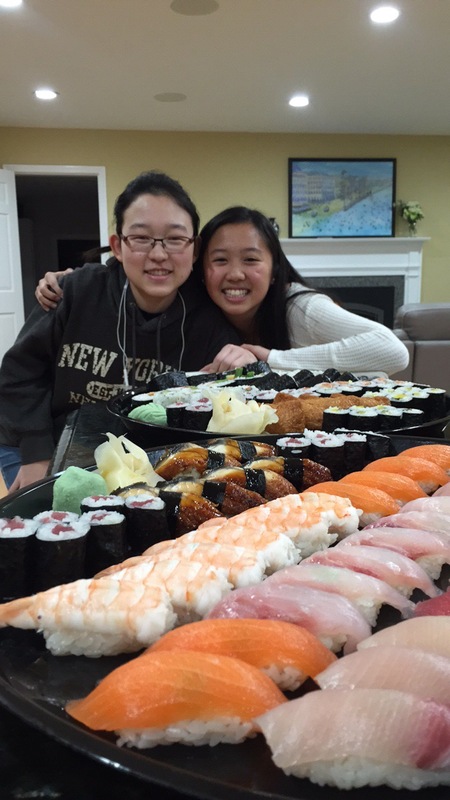 We hope you enjoy her blog on what being a member of JACL means to her as much as we do! When I first learned that I was selected as the recipient of this award, I immediately called my parents who had sacrificed so much to ensure I could live freely in pursuit of my passions. As a daughter of Japanese immigrants, I am honored to be recognized by the Japanese American Citizens League for my commitments to advance not only the cause of Japanese Americans, but of the greater Asian American, Native Hawaiian, and Pacific Islander community. As a child of immigrants, I was nurtured not in wealth but in grit, and I am grateful for this rugged upbringing that forged my core values like resilience and compassion. At the same time, I do not mollify the experience; it was disparaging to face barriers buttressed by my socioeconomic and minority status. My parents, in their naiveté, chased after the American dream to escape social conformity. In Japan, “the nail that sticks out gets hammered down,” but as immigrants in the U.S. they struggled with the language barrier, workplace discrimination, and absence of proximate family support and professional network, which are disadvantages that trickled down to me. That is why organizations like the JACL are indispensable to the empowerment of multicultural, multi-generational residents in the United States. JACL understands the obstacles faced by minorities, and my wish is for JACL to continue expanding its presence beyond the coasts and major cities. I was unaware of its resources growing up in Monument, Colorado, and there are still countless victims of injustice who stand to benefit from JACL. Inspired by public service, I have consistently sought to assist the vulnerable and disadvantaged, whether it be serving on the board of CAPAL, a D.C. nonprofit that promotes equitable Asian American representation throughout all levels of government, or interning for various civil service entities like the State Department, Senate, and White House Initiative on Asian Americans and Pacific Islanders. To me, this award is a reminder that doing good does not go unnoticed, and I am encouraged to never give up on my conviction to build a prosperous society that is socially inclusive, environmentally sustainable, and transparently governed. Thanks to JACL, I am one step closer to this goal. The scholarship will help pay for my schooling at the Yale School of Forestry and Environmental Studies, and as a graduate student, I aim to become a skilled sustainable development practitioner and combat the injustices of climate change. It is unacceptable that communities of color are disproportionately exposed to environmental hazards in the United States, and it is equally unfair that small island nations in the Asia Pacific are some of the most threatened by climate change. Thus, I am compelled to advocate for the underrepresented, driven by my identity as a second generation Japanese American and my interests in social and environmental justice. I promise to uphold the values of JACL as I pursue my Master of Environmental Management degree, a pursuit made possible, in part, by the generosity of the Kenji Kajiwara Memorial Scholarship Fund.